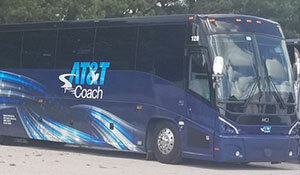 AT&T Charter Service Inc. has been providing customers with only the best in motorcoach travel since 1989. 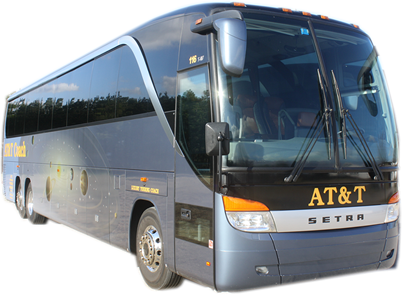 We have 23 deluxe motorcoaches in our fleet and maintain them from a safe and environmentally –friendly approach. We also have a tour division, A & B Tours, which has been providing customers with quality and professional tours for over 23 years, making us a full service tour and operator. We offer pre-packaged and fully escorted tours to destinations throughout the United States and Canada, including many day trips. Each year, A&B Tours organizes more than 100 fantastic tours based on client feedback and repeat business! All transportation is furnished by AT&T Charter Service Inc. Whether you are traveling in a group or by yourself, we’ve got a tour that is right for you. 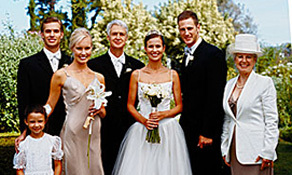 It has always been our desire to provide our customers with the best service. 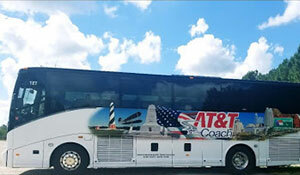 AT&T Charter Service Inc. and the A & B Tours team appreciates all of the people that have traveled with us in the past and look forward to all the new travelers joining us in the future. Thanks for allowing us to earn your trust!